Discretion is probably the most desirable trait of a hotel night manager. So when the mistress of one of Cairo’s nastiest mobsters asked our night manager to look after some secret documents that might implicate her boyfriend and an English philanthropist in arms dealing, she – and we viewers – don’t expect him to give them to his chum at the British Embassy. Of course he does, and so sets in train a chain of events that is bound to see dead bodies piling up, government ministers compromised, secret services involved and a mole lurking in every cocktail cabinet. Based as it is on a John le Carre novel, The Night Manager is destined to be good, but the first episode gets off to a wobbly start. Tom Hiddleston as the Night Manager in question seems more worried about keeping his hair in place than delivering his lines with any presence and some of the sets look a lot like … sets. Hugh Laurie as the arch villain takes some getting used to, for anyone who’s seen him at his best in Black Adder and the Stuart Little movies. It’s a bit of a leap from being the adoptive father of a mouse to jetsetting about the place as a dastardly gunrunner, and no mistake. But suddenly all that disbelief gets suspended. Don’t ask me how, but one minute I’m scoffing at how unlikely to happen everything is, and the next trying to work out who’s most likely to be leaking the secrets. And who’s buying all those bazookas? We’ll have to wait until episode two to find out – something I personally plan to do. “The BBC has a lot riding on Night Manager. With a budget of $30 million, this is the state-owned U.K. broadcaster’s most costly drama to date, and their first le Carré adaptation in more than three decades. The two opening chapters suggest clear mainstream ratings potential, striking a balance between sumptuous cinematic spectacle and populist TV thriller tropes.” — The Hollywood Reporter. 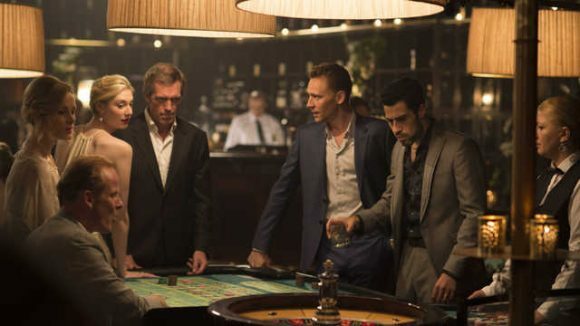 “The Night Manager, the first novel le Carré wrote after the collapse of the Soviet Union, loitered in an out-tray for more than two decades. Such a long wait would normally turn a book into a historical curio, but not here. The first episode of the BBC’s new adaptation was event drama of not only the highest calibre but also the most pressing necessity.” — Daily Telegraph. 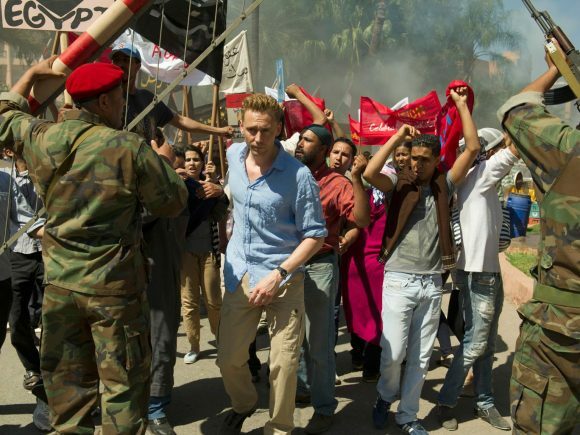 “All the Bond boxes ticked in clichéd John le Carré adaptation … Initially set against the chaos of the 2011 Egyptian uprising, the backdrop was sumptuous but the action was a little predictable … But when the story fast-forwarded four years to a snow-covered Switzerland, the plot started to pick up.” — The Independent.